In recent years, the international coking coal market is experiencing an acute shortage of coal supply which has caused a fluctuation in its price. Degradation of coke, in the blast furnace, is largely controlled by its inherent mineral matter. Phosphorous occurs in all coals in minor or trace amounts and is an important parameter to coal users, particularly in steel industries. The mode of occurrence and distribution of phosphorous minerals in 17 coal samples of the Jharia coal basin were investigated through petrographic examinations, technological characterisation and phosphorous distribution. The results reveal that the dull bands are eight times more enriched in phosphorous than the bright bands. The macerals of the inertinite group and mineral matter positively correlate with the phosphorous content, whereas vitrinite macerals have an apathetic correlation. The impact of the thermal alterations is localised and diminishes away from the contact of the intrusion. In contrast, the faulting does not appear to have any effect on the phosphorous content. The authors are thankful to the Deputy Director General, Coal Wing, Geological Survey of India, Kolkata, for providing permission to use his laboratory facility for vitrinite reflectance measurements. The authors are indebted to Mr Santanu Ghosh, Department of Applied Geology, Indian Institute of Technology (Indian School of Mines), Dhanbad, India, for his help in correcting and improving the quality of paper. 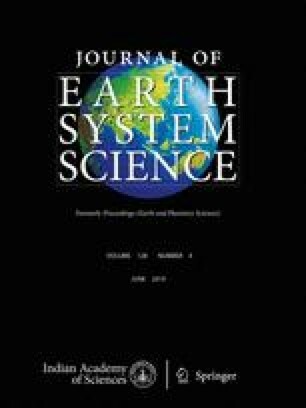 The authors would like to convey their sincere thanks to Prof Partha Pratim Chakraborty, Associate Editor, Journal of Earth System Science, and the learned reviewers for their valuable suggestions to upgrade the quality of this paper.